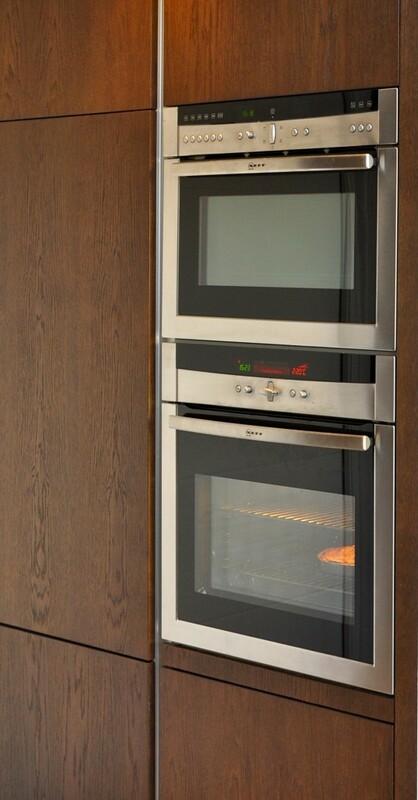 Integrating appliances can provide a cohesive and finished look to your kitchen space and it is a “must” in open plan kitchen. It is natural progress in the kitchen’s evolution from cooking-and-eating space to flexible multitasking hub. With clever integrating of the fridges, freezers, wine coolers or larders, we added functional and practical elements without compromising on aesthetics. 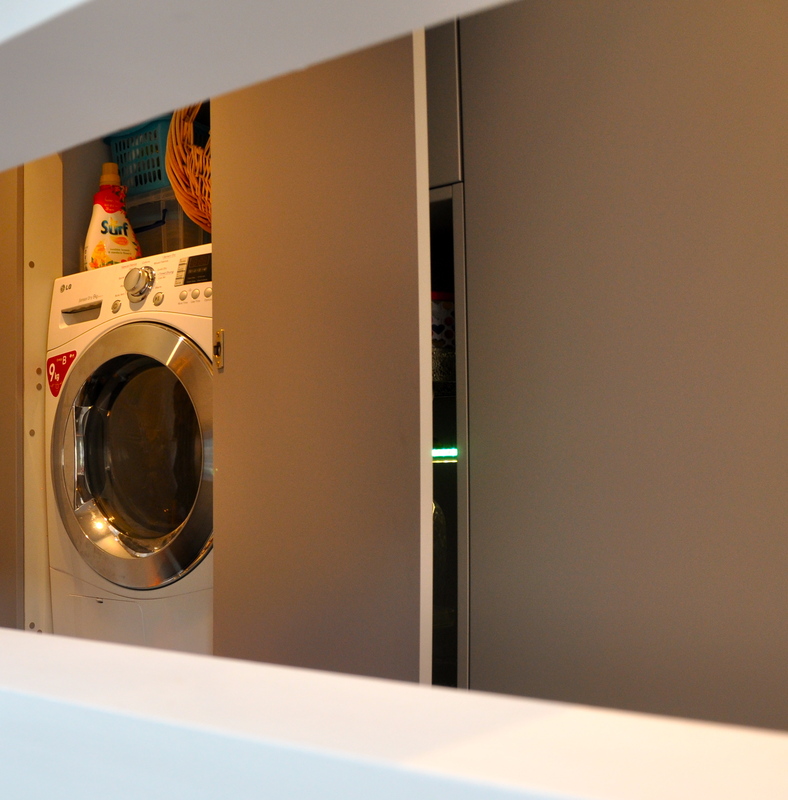 The importance doesn’t just lay with integrating appliances. 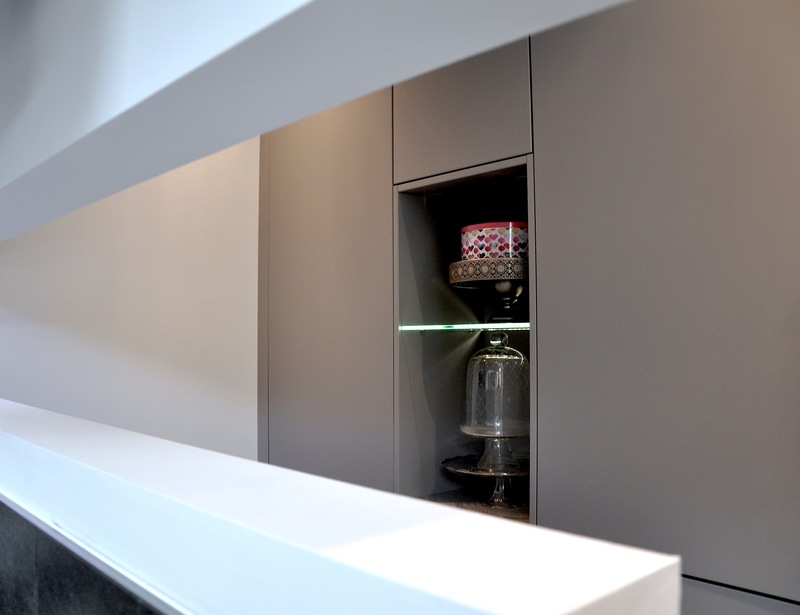 Another important step is accessorising your cabinetry with correct interior solutions. 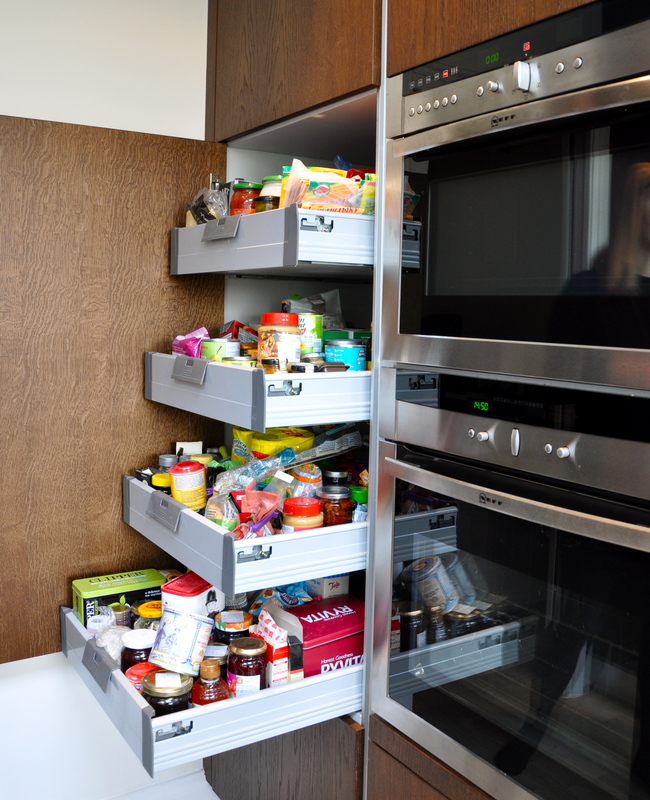 These can maximise capacity of your cabinets and enable easier access. 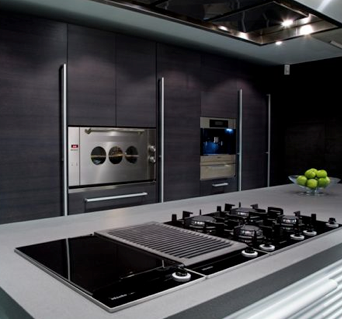 With modern technology and kitchen design advancing fast, there is a vast selection available. 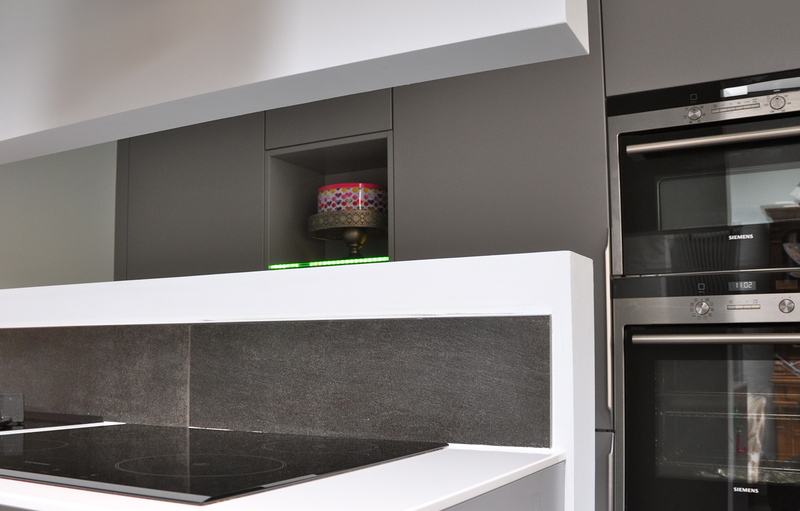 With clever design and attention to detail we are able to transform your kitchen into ultimate working machine. 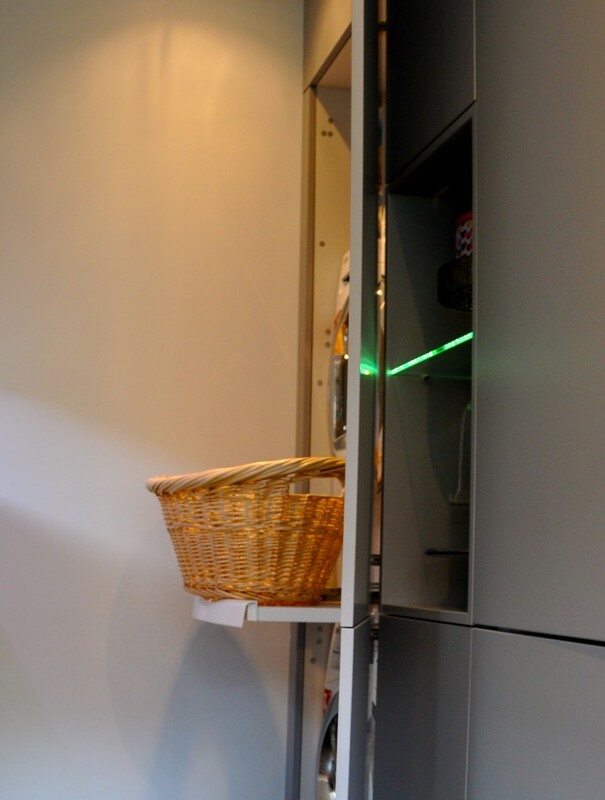 Space limitation is problem for most clients and not always there is space for extra utility room. this is when our bespoke service has huge advantage over mainstream manufacturing. 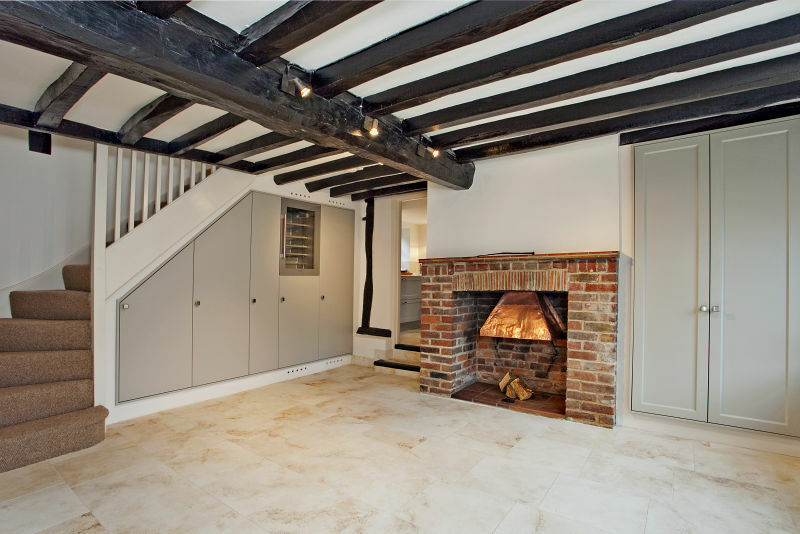 In this scenario we were able to accommodate large capacity washing machine and tumble dryer and conceal it in the way that is unobtrusive and does not compromise aesthetics of open plan kitchen – dining room.